How we protect out feet is influenced by the environment (hot, cold, stony, soft), the materials available (leather, plants, beads, quills), and tradition. Tradition guides whether people wear sandals or leather footwear, as well as how they decorate them, but tradition varies over time as conditions, environmental and social, change. 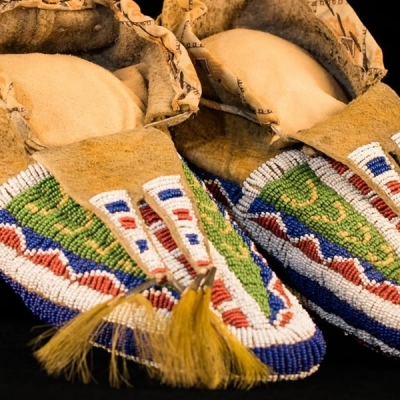 Stepping Out: 10,000 Years of Walking the West opens at the Museum of Indian Arts and Culture on August 27, 2017 and will be on exhibit until September 3, 2018.